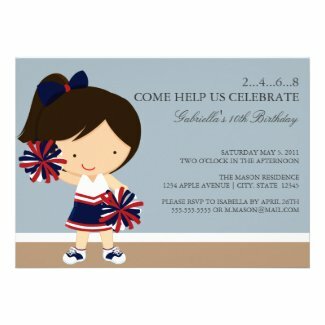 Take a look at this adroable collection of Cheerleading Birthday Party Invitations. Click each invitation to personalize and view additional details. 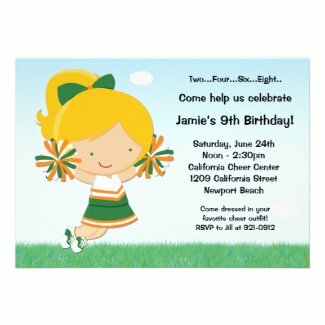 For a great selection of cake toppers, decorations, favors and more, take a look at the site Cheerleader Themed Party Supplies.